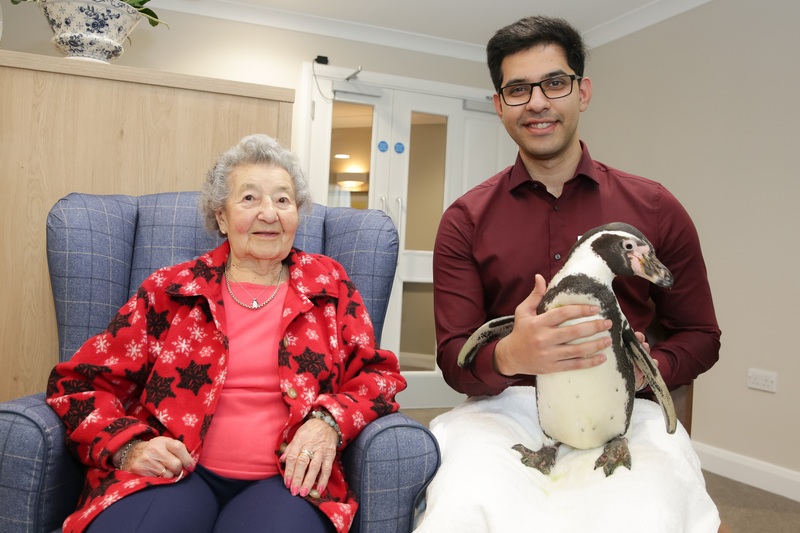 Residents at a care home in Berkshire received a surprise visit from two penguins, Charlie and Pringle, to answer 92-year-old Annie Thelwell’s wish. A lifelong animal lover, Annie wears a penguin-shaped pendant, decorated with animal photos, and even made a wish on the home’s wishing tree to see penguins. The animals’ visit was organised by the team at Mountbatten Grange, and involved a “show and tell” workshop, a feeding session, and of course, some friendly cuddles with the Humboldt penguins. Pringle and Charlie were brought into the home by Amazing Animals, and receive regular social interaction that makes them relaxed around human contact. Home manager, Saad Baig, said: “We always like to go the extra-mile for residents here at Mountbatten Grange, and make their wishes come true, no matter how small – or unusual. 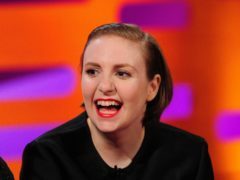 “Annie talks about penguins with passion, so we were really excited to be able to make her dream of seeing one up close come true. “We managed to keep the visit a complete surprise, so it was incredible to see her light up when they waddled into the care home – they are truly wonderful creatures and it was a fantastic moment for everyone involved.